Interested in pursuing board certification in Shelter Medicine Practice? The newly recognized specialty of Shelter Medicine Practice includes all aspects of veterinary practice important to the care and management of shelter animals. Mastering this specialty requires a broad-based approach inclusive of community considerations and encompasses all aspects of healthcare ranging from the physical and behavioral health of shelter animals to the environmental health of the shelter facility. In order to control infectious disease and promote health and wellness in shelter populations, Shelter Medicine specialists must have an expanded understanding of shelter facility design and operation; husbandry (including population level housing, nutrition, sanitation and behavioral care); resource management and risk analysis. Beyond a conventional veterinary education, success in this field requires a strong background in areas such as epidemiology, statistics, companion animal population management, immunology, infectious disease, animal behavior, public health, and veterinary forensics. 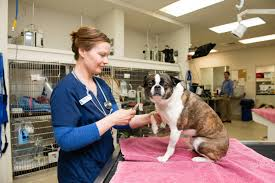 2005 – The Association of Shelter Veterinarians (ASV) forms a task force to explore the development of a specialty in Shelter Medicine. A letter of intent is sent to the American Veterinary Medical Association’s (AVMA) American Board of Veterinary Specialties (ABVS). 2006 – Task force representatives attend the annual ABVS meeting at AVMA headquarters in Schaumburg, IL and learn that conducting a professional job task analysis is the first crucial step to define the duties and skills required of a Shelter Medicine specialist and ensure that it is indeed a distinct and identifiable specialty of veterinary medicine. 2007 – Eleven Shelter Medicine veterinarians meet in Orlando, FL with facilitators from the Ohio State University Center on Education and Training to draft the job task analysis. 2008 – Results of the job task analysis are validated through a survey of the ASV membership. Faculty members representing 9 different veterinary colleges form a Residency Standards Task Force to develop standards for residency training in Shelter Medicine. To view the Job Task Analysis and Requirements for Professional Knowledge and Skills, see appendices C and F of the Petition. These reports can be accessed by clicking on the hyperlinks in the Table of Contents of the formal document. 2009 – The ASV officially appoints an organizing committee for a specialty in Shelter Medicine. 2010 – Under the advisement of the ABVS, organizing committee members explore options of existing under a parent organization including the American Board of Veterinary Practitioners (ABVP), the American College of Veterinary Preventive Medicine and the American College of Veterinary Internal Medicine. 2011 – Organizing committee members conduct surveys of veterinary curricula through the American Association of Veterinary Medical Colleges, surveys of shelter practitioners through the Veterinary Information Network, and surveys of the ASV membership regarding their interest in certification. The committee’s research culminates in a decision to pursue development of a Shelter Medicine specialty under the auspices of the ABVP. 2012 – A formal petition for a recognized veterinary specialty is created and presented to the ABVP’s Council of Regents (COR). The ABVP COR votes to accept the petition and forwards it to the ABVS’s Committee on New Specialty Development (CNSD). December 2012 - The petition is reviewed by the CNSD and found to be complete. In accordance with ABVS policy, comments are solicited from the public and interested stakeholders regarding how recognition of Shelter Medicine as a specialty will fill a distinct need in veterinary medicine. Public comment solicited through the AVMA ABVS website until September 1, 2013. Following the period of public comment, the CDNS reviews all comments and forwards them to the ABVS. February 2014 - The American Board of Veterinary Specialties (ABVS) votes to recommend provisional recognition for the shelter medicine practice specialty under the American Board of Veterinary Practitioners. 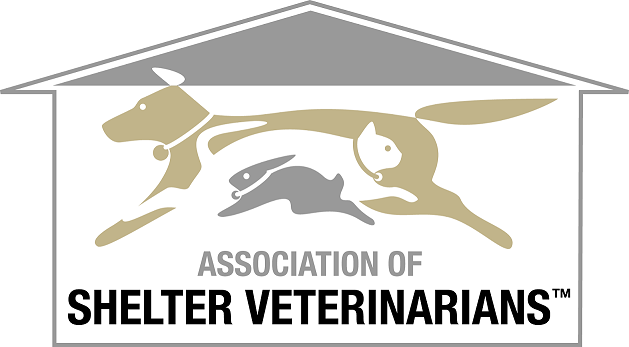 April 2014 - AVMA executive board votes on the petition and officially recognizes Shelter Medicine as the newest veterinary specialty. August 2014 – Petition is forwarded to the AVMA House of Delegates for a final vote. November 2014- Credentialing applications will be accepted. November 2015 - First sitting of the certification exam at ABVP’s annual symposium in New Orleans.